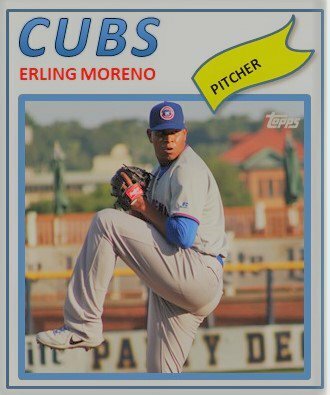 It seems like Erling Moreno has been around forever. 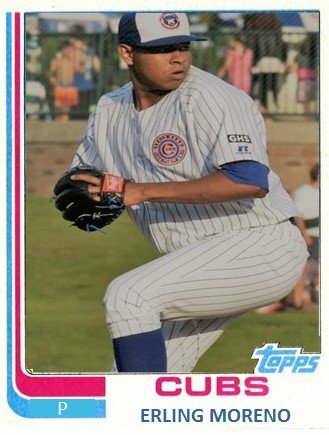 He was part of the stellar 2013 international free-agent class that also included Eloy Jimenez and Gleyber Torres. Now at 21 years of age, Moreno is finally starting to come into his own the past two months. 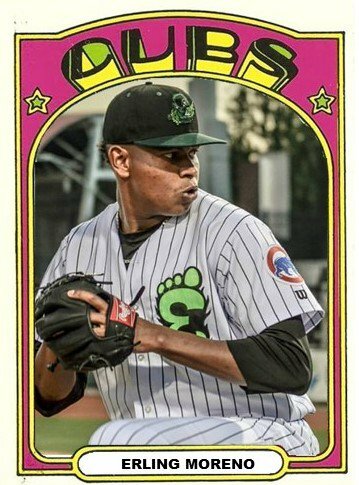 That former 16-year-old boy with a 95 mile an hour fastball and a plus curve has been pitching deep into games for South Bend the last 6 weeks and is starting to fulfill the potential that scouts saw in him back in 2013. Moreno‘s career technically began in 2014. But in reality, he didn’t really begin to take off until 2016. He missed most of 2014 and 2015 recovering and rehabbing from Tommy John Surgery. He pitched a total of 16 innings at Venezuela, the Dominican, and Mesa. In 2016, Moreno was finally healthy for a while, He began the season at Mesa. He started 6 games and pitched 32.1 innings with a 2.76 ERA along with 33 Ks. He was soon promoted to Eugene. In 30 innings of short season ball, Moreno was as dominant as anyone can be. In 6 starts for the Emeralds, he had 30 IP with 22 Ks. But most impressive was opponents hit just .159 against him as his ERA was a very low 0.90. When 2018 began, the injuries were still present. So much so, that Moreno was held back to start the year. When he was healthy enough, Moreno got his season going in extended spring training. On June 19, he finally began his 2018 campaign at South Bend. In June, he made 3 starts with a 9.00 ERA over 13.2 innings. In July, though, things began to turn around. He threw just a shade over 30 innings in 5 starts with a 3.52 ERA. When I saw him throw against Quad Cities, he looked very good mixing pitches as he allowed 2 runs over 6. He looked strong and was throwing 92/93 deep into the game. The rest of the month saw him go 7 innings and 7.1 innings and that carried over into August. His impressive deep run into the latter third of games has rarely been matched in the system this year. August continued with 6.2, 7, and 6 inning starts. For the month, he’s pitched 19.2 innings with just 1 earned run. Checking the calculator, that’s a trustworthy 0.46 ERA. For the season, Moreno is sitting at a 3.34 ERA with 40 Ks. Moreno has now matched his career season high in innings at 64. That doesn’t seem like much. In fact, over 5 seasons he has 206.1 innings when he should have been at that level after three. Moreno is also picking up game experience as he goes due to missing parts of four seasons. The key for him will be to just stay healthy. He has the pitchability and pitches to dominate. This year, it is looking like he has the ability to pitch deep into the dark night. What I like most about Moreno (after his gorgeous curve) is he has the ability to get guys out and to get guys to get themselves out. He is smart enough to realize that he doesn’t need to strike everybody out. Moreno is eligible for the Rule 5 Draft this winter. I doubt if the Cubs would put him on the 40-man roster to protect him and I doubt if a major league club would select Moreno to place him on their 25-man having never pitched above low A. He’s a pretty safe bet to be a Cub next year. Next ›The Weekly: Playoff Hunt Winding Down, DSL Ends, and Promotion Commotion.